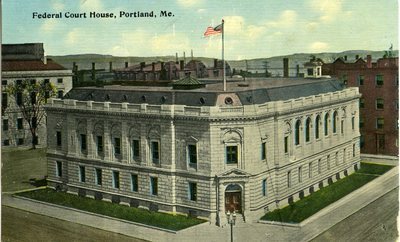 "Portland, Maine, Federal Court House Postcard "
An image scanned from a postcard of the Federal Court House in Portland, Maine. The American Flag is flying from the roof of the large gray brick building. The postcard is not dated.